Hello friends! My ten year old, Evergreen, was just asking for a more grown up Bible than the princess themed one we gave her when she was five, so I was thrilled when Zonderkidz sent me a free copy of the NIV Inspiring Words Holy Bible to review. 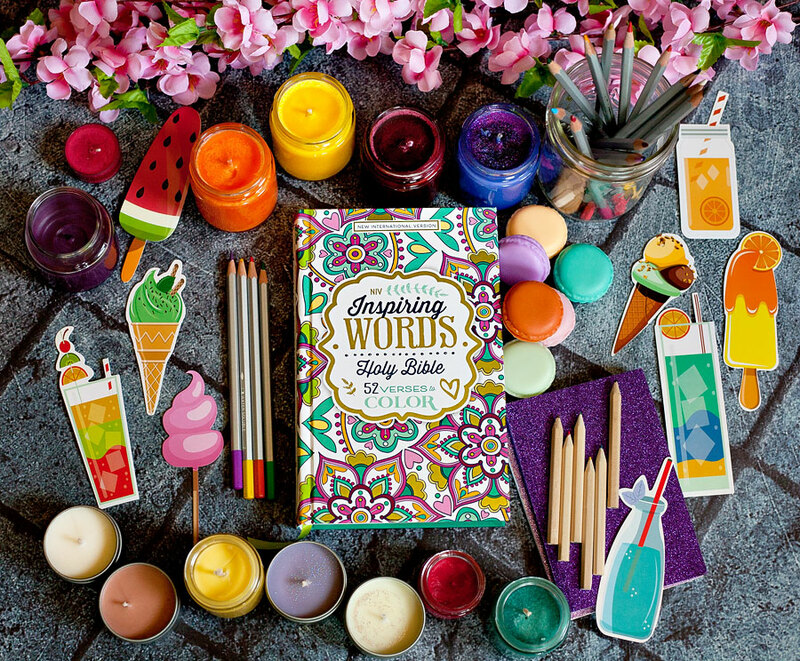 This beautiful hardcover Bible with 52 Verses To Color is perfect for her! This is a full-text Bible on normal thin Bible paper with regular sized margins, not a journaling Bible, but inter-dispersed throughout are sets of a few black and white verses with illustrations on thick paper for you to color in. 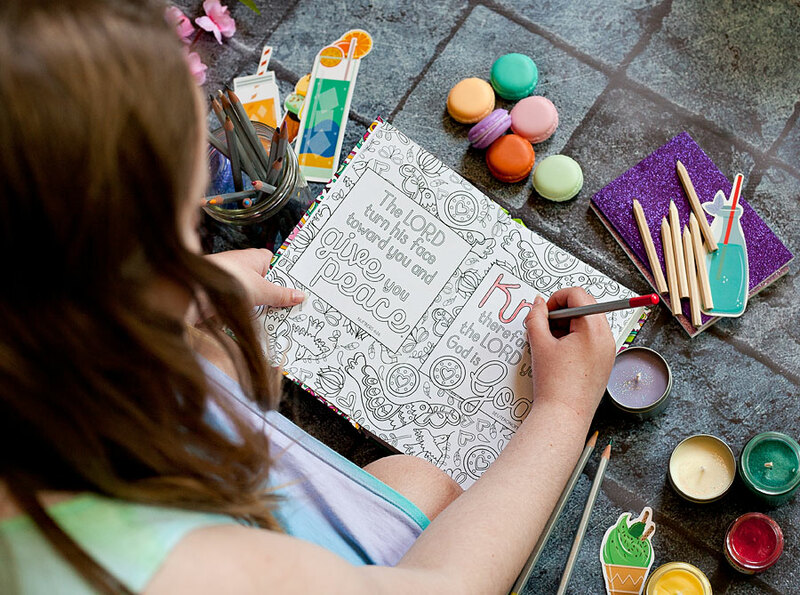 The coloring pages are plenty thick enough for no bleeding or tearing to occur when colored with colored pencils. This is a great Bible for tween girls. The only thing I don’t love is the translation. NIV isn’t my favorite, I wish it was NLT instead, but I know lots of people love NIV. It’s a very nice Bible in any case, and Evergreen has started coloring a few of the pages. She loves it, and has been reading it every morning and is excited to take it with her to church and everything. Thanks Zonderkidz!